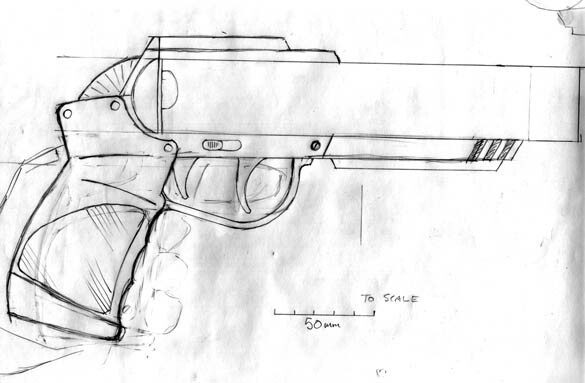 I’ve drawn up a rough plan of the internal workings of the triggers and the barrel lock. Now I can proceed with the grip, lock and stock. Sorry about the lousy photo. 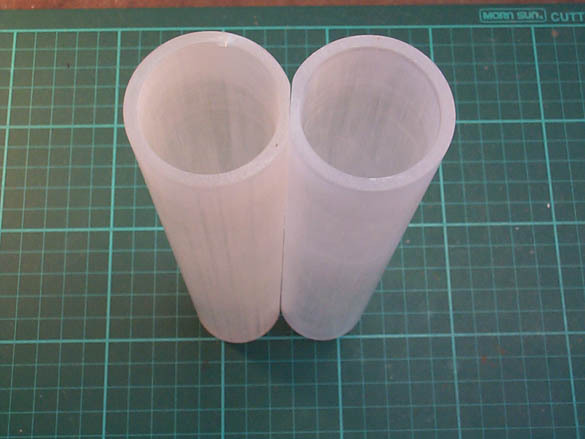 Ive sourced the 38mm tube and shaped the joint surfaces for the barrels. Perfect fit. Very large bore barrels = 30mm bullets! Once I get some WeldOn 16 or Acryfix 192, I can join them and start building the stock fittings around the barrels. 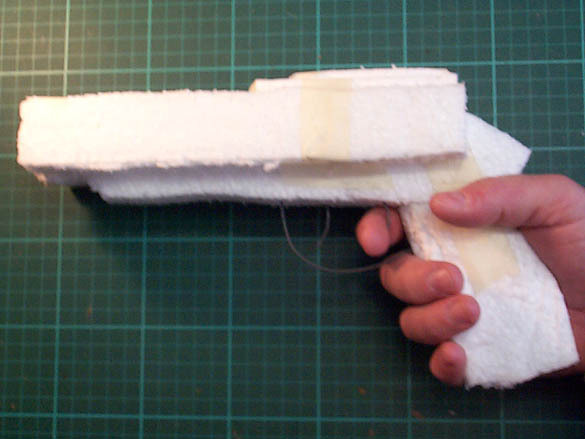 A shot of my polystyrene sketch model for proportion and ergonomics, it’s ugly but it works. “Joy” is a small local Sci-fi project, being filmed around my hometown of Perth WA. I became involved through a friend who’s co-writing the film. 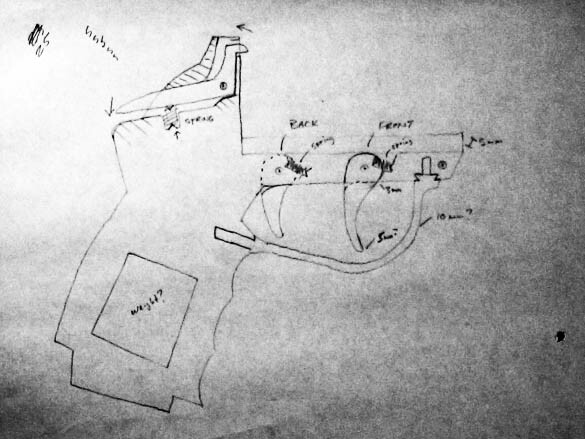 I’ll be volunteering some of my time, designing and constructing a bunch of the “more interesting” props for the film. For now, I’ll be developing the unique weapons of “Joy”. 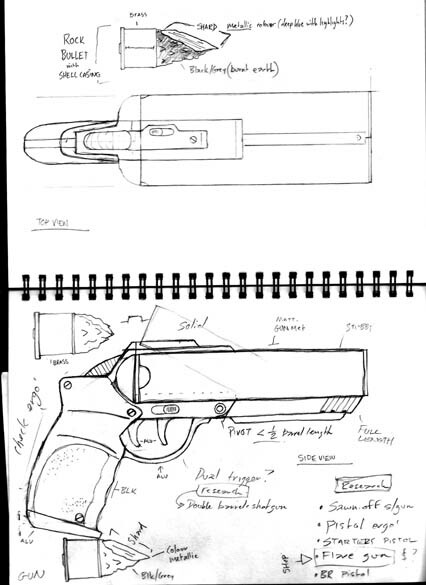 The project calls for a number of weapon props. Our main intent with all these objects is to get them looking aggressive and impressive on film. We also want to try to get them looking unique and unusual. Here are the concept sketches to date (28/10). 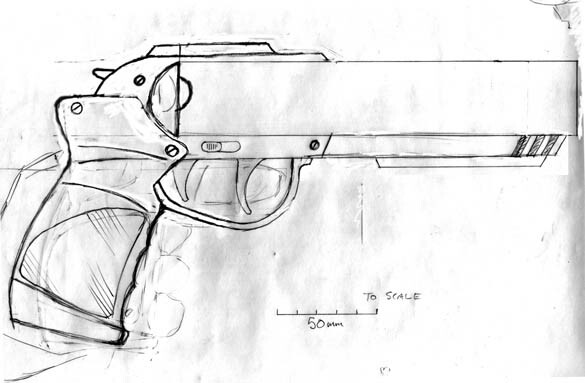 My first rough concept of the gun. 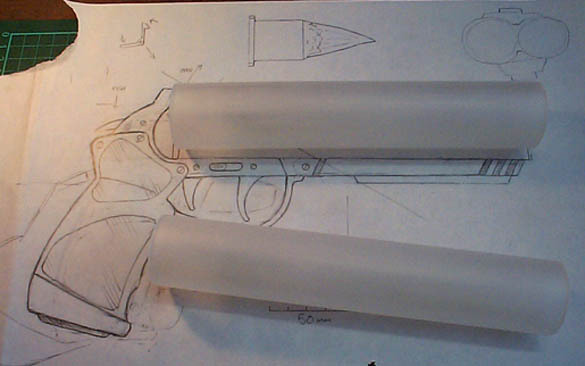 It’s a double barrel handgun that takes beefy rounds. 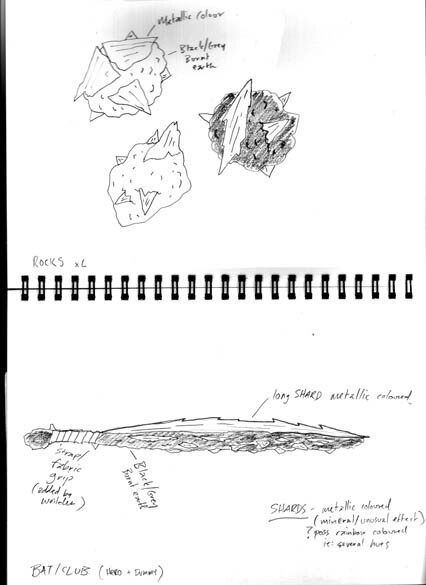 A few very rough ideas for the Club and Rocks. 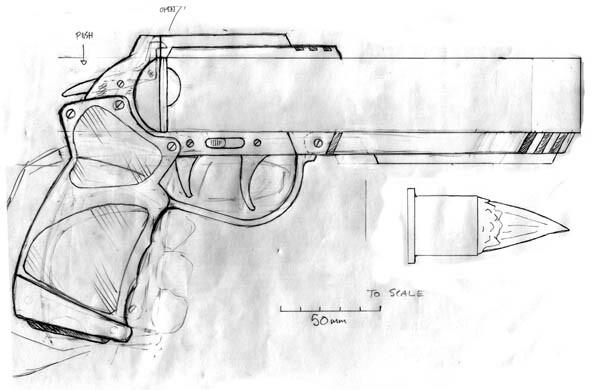 Ver-2a of the gun, now with longer barrel and actual ergonomics. 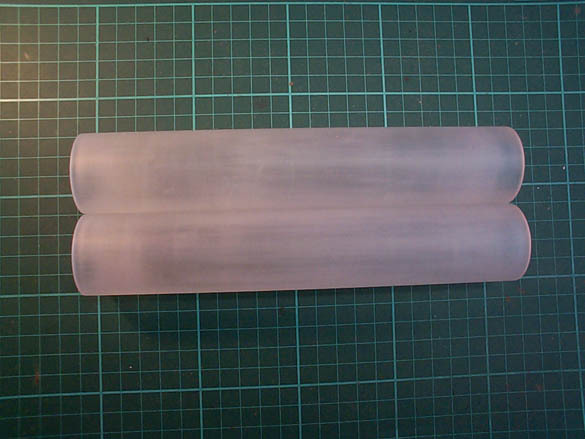 At this stage I also built a sketch model out of PS foam to get a better idea of proportion and ergo. Combining Ver-1a with Ver-2a, I liked 1a’s grip area a bit better than 2a. 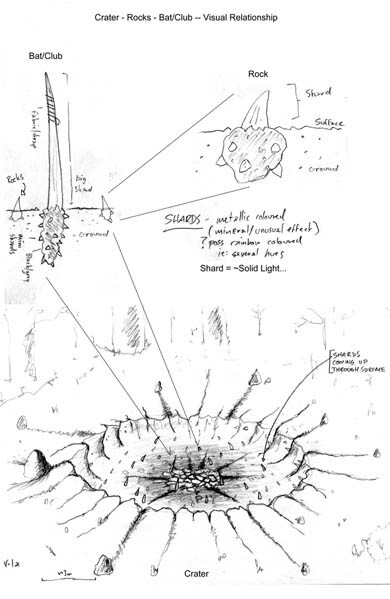 A drawing showing how the Club, Bullets and Rocks relate to the crater. This is where all the bits and pieces relating to the “Joy” project will end up. I’ll be posting images of prop development and the general story as it unfolds for all and sundry to view. You are currently browsing the blog archives for October, 2008.